This is an oval flange Gold Leaf Shoes porcelain sign. 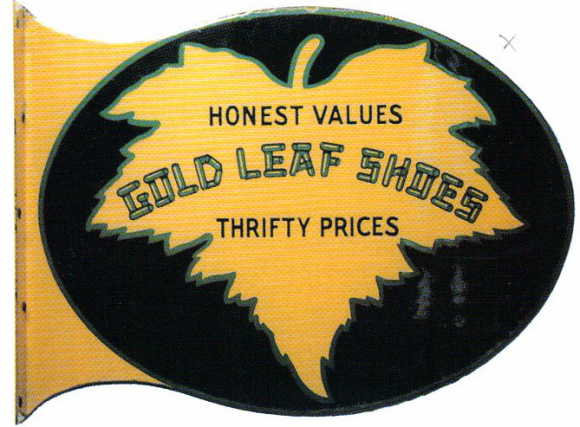 This particular Gold Leaf Shoes sign features a yellow leaf against a black background with a yellow flange. It reads, “Honest Values, Gold Leaf Shoes, Thrifty Prices”.